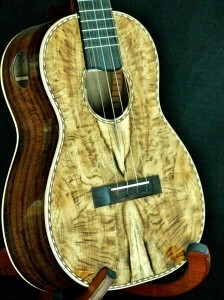 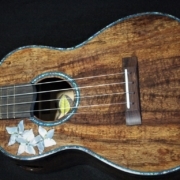 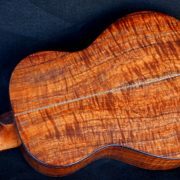 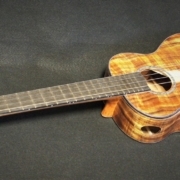 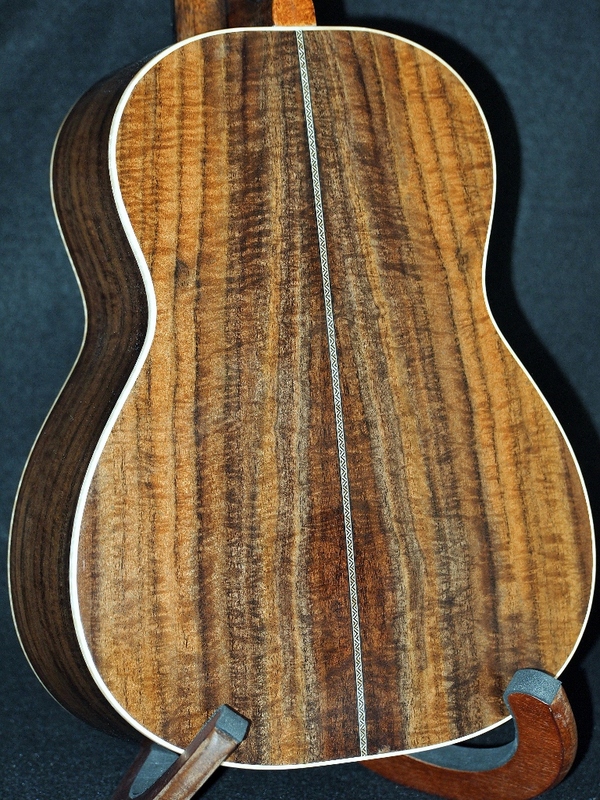 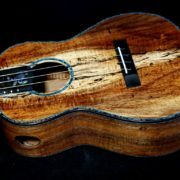 Just finished this Myrtle Wood and Black Walnut tenor ukulele. 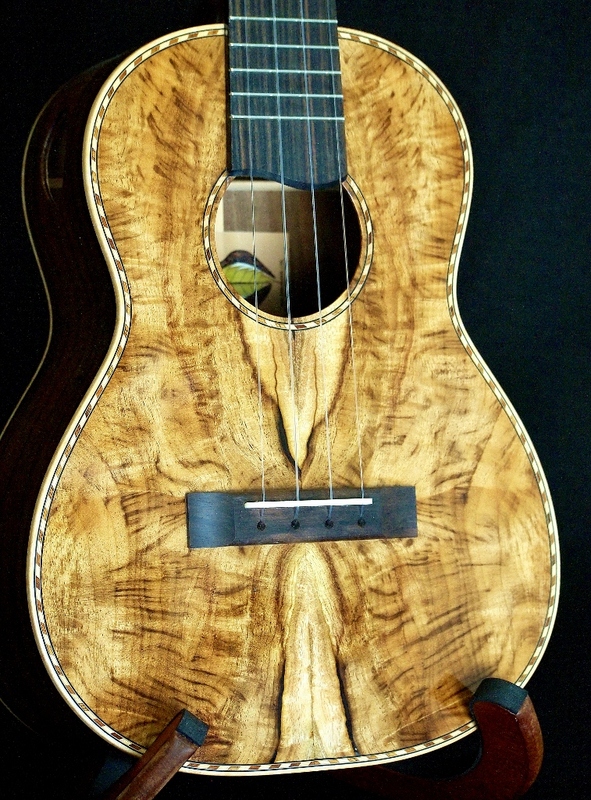 I don’t think the pictures do justice to the beauty and unusual qualities of the sound board–it’s a cross between tiger strip, curly, figured and crazy. 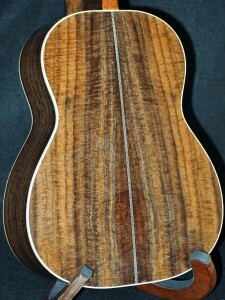 It compliments the figured Claro Walnut back and sides perfectly. I used curly maple binding, a herringbone back strip, black walnut neck, Macassar ebony fret board and bridge and rope-style purfling to accent the build. 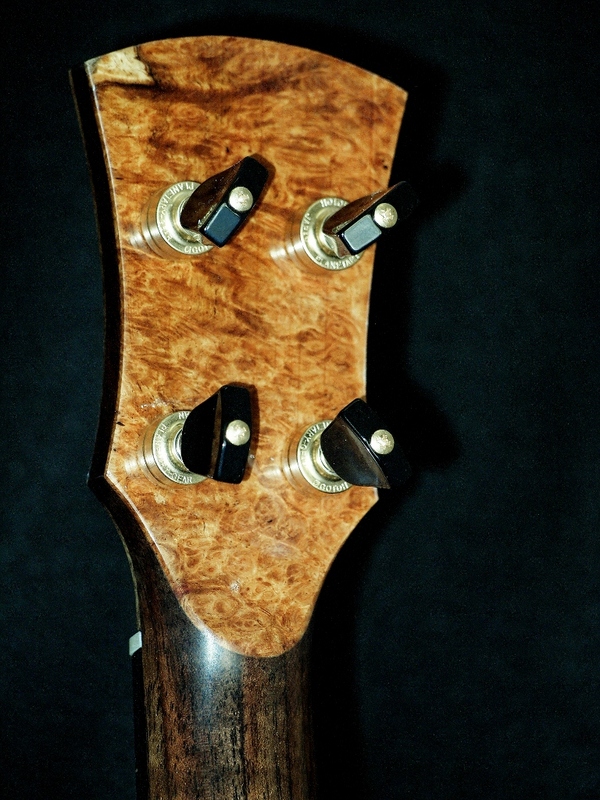 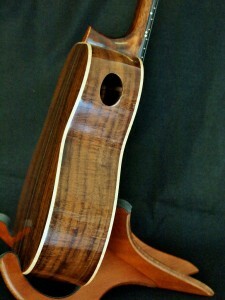 Head stock is also Myrtle, and the headstock back and accents are Indonesian Maidou burl. Gotoh 4::1 tuners and Hi “G” tuning with PHD’s. 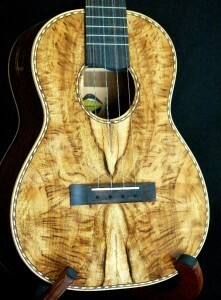 It comes with a Reunion Blues case. 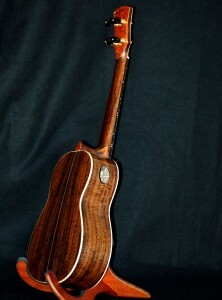 My thanks to Dana at Oregon Wild Woods for this beautiful piece of wood.